The Scottish Borders is the idyllic region lying between England and Edinburgh, a small stretch of spectacular peaks and hills, forests, wooded valleys, moorland, mountain streams and the majestic River Tweed, one of Scotland’s finest salmon fishing rivers. Pretty towns such as Peebles, Kelso and Coldstream are packed full of attractions and dripping with history – often dotted with beautiful historic houses, haunting abbeys and brutal battlefields which are reminders of the Scottish Borders’ turbulent past. Imposing castles were built as a defence against English raids and many fine examples still exist for visitors to explore. They include Thirlestane Castle in Lauder, which was built in the 13th century and is one of Scotland’s oldest castles. 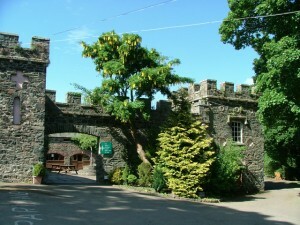 There is a museum, adventure playground and walks through the woodlands, plus meals in the atmospheric Old Servants Hall. Floors Castle in Kelso is the largest inhabited castle in Scotland and is home to the Duke of Roxburghe. The castle was built in 1721 and displays stunning examples of architecture, furniture and art from the period. Kelso is also home to an impressive 12th century abbey which was where James III and James IV were crowned King. Although the Abbey is now incomplete, the remains have been wonderfully preserved and are well worth visiting. Whether heading along the pathways of the River Tweed, trekking over hills, through woodlands or along craggy coasts, walkers can enjoy some of the UK’s very best landscapes in the Scottish Borders. Every season offers something a little different and there is everything from short trails to extensive routes to try. 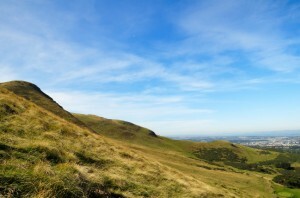 The Borders also provide some of the best dedicated mountain bike routes in the UK, with areas such as Glentress Forest, on the outskirts of Peebles, offering a wide selection of dedicated tracks for all standards of riders and includes a 30km black trail that has been voted the best in Britain. Glentress Forest’s trails range from the very challenging to the family friendly, plus there is a free ride stunt area where people can practicing their jumps and aerial drop offs! Every route rewards riders with amazing views and the sweet sense of satisfaction when the trails have been conquered. Scotland’s Border region plays host to many outstanding events through the year with sports festivals such as Peebles’ Highland Games and the internationally famous Melrose Sevens Rugby tournament, to traditional celebrations such as the Beltane Festival that marks the arrival of summer, and historical re-enactments at the grand castles. Enjoy the very best of the Scottish Borders by book a camping and touring break, or owning your own holiday home at Rosetta Park.